New Parents Deals! Benvenuto! Da dove inziare? 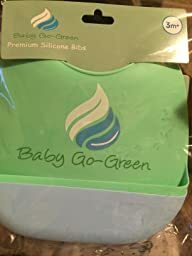 If you have a baby like mine that just can’t avoid making a huge mess anytime she eat something, this silicone bib are a great choice! She still make a huge mess but if she spit the food, it get caught by the bib instead of falling on her knees or clothes, and it really take less than a minute to just clean the bib. Maybe for younger baby, a cotton bib is still the preferred one to use, but for toddlers I think this is a better choice that will avoid you to do laundry just to clean all the dirty bibs. It’s pretty big so cover her shirt as well, so even that is safe from all the mess she does with the food! I purchased this product at a discounted price in exchange for my honest review. Disclaimer: some of the links on this website are affiliate links, which means that we may earn a commission if you click on it or make a purchase using the links. By using our affiliate links, you are helping support the Italianinusa.com website, and we genuinely appreciate your support. Our products review are all based on our honest and unbiased opinion, even if we may receive products for free or at a discounted price. Feel free to Contact Us if you want us to review your products, but please note that we dont accept free products or cash just to write a positive review.